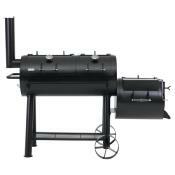 Large Western style BBQ smoker. 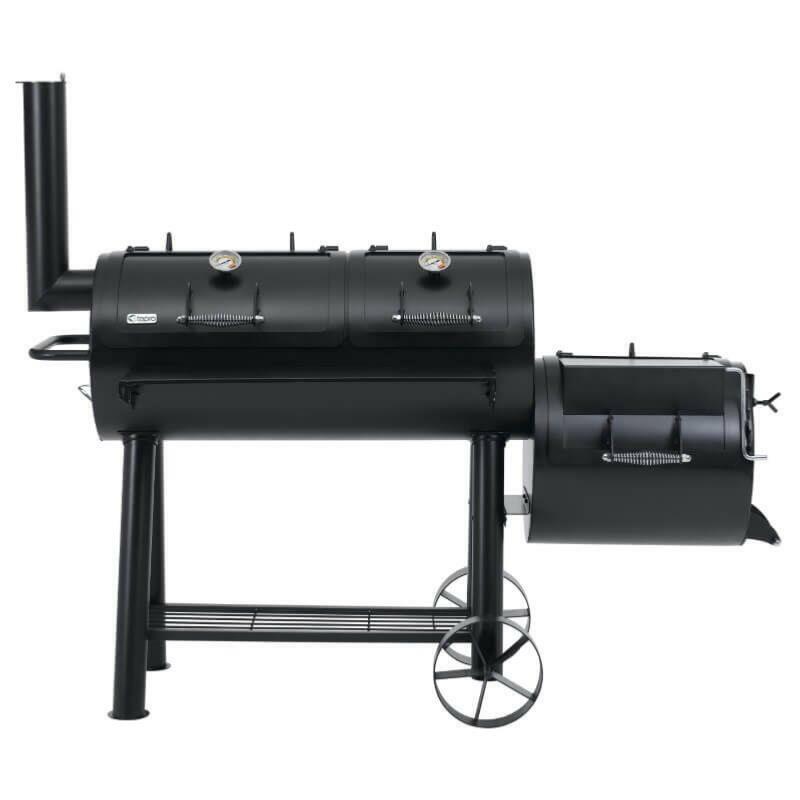 Indianapolis Offset BBQ Smoker from Tepro is big enough to cook and smoke a BBQ feast for a very large family or even for commercial use. 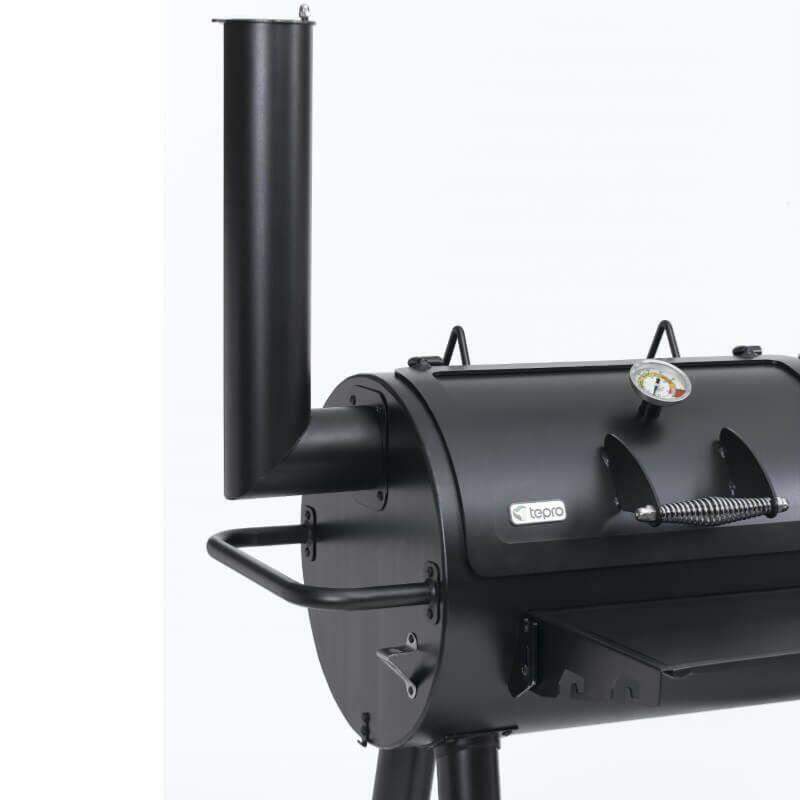 Use for indirect roasting and smoking, favoured by BBQ experts, where the food is not placed directly over the coals and is roasted in the closed chamber. 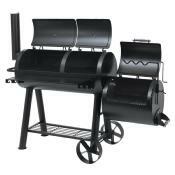 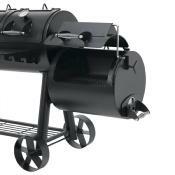 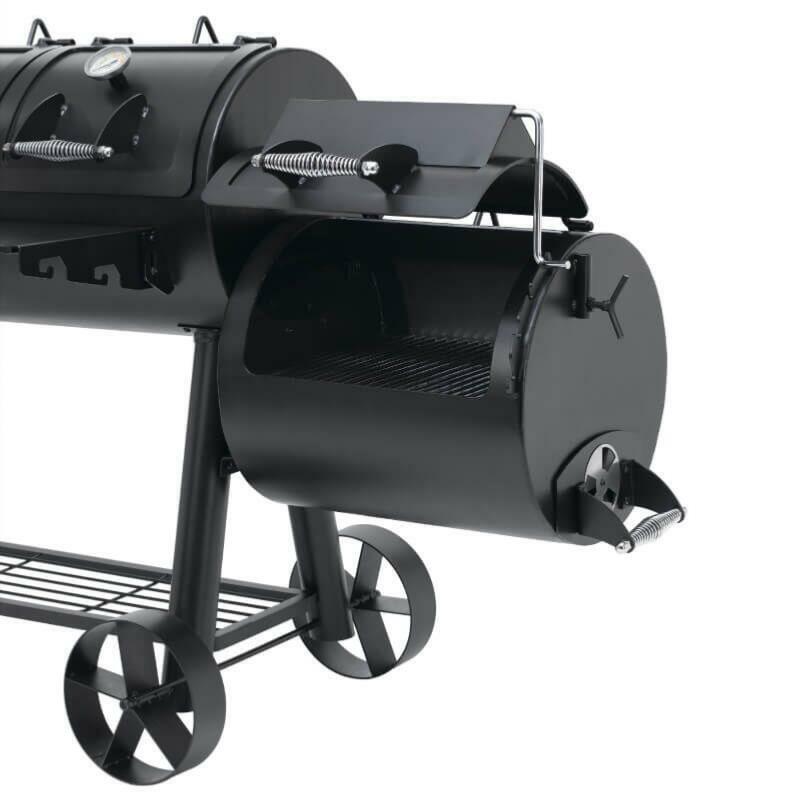 You can use different cooking methods with this smoker, use it as a normal barbecue and grill over charcoal. The smaller chamber for the fire and adding wood, which as it burns smokes through to the cooking chamber and flavours you food. 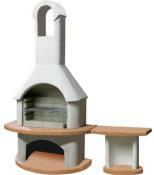 Excellent heat control thanks to the combination of the chimney and air vents. Cooking long and slow at lower temperatures between 80°C and 130°C is easy. 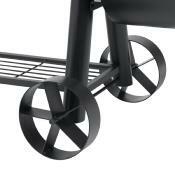 The smoker trolley has two large steel wheels and a useful storage shelf, also a foldable table with handy utensil hooks and even a bottle opener on the side. 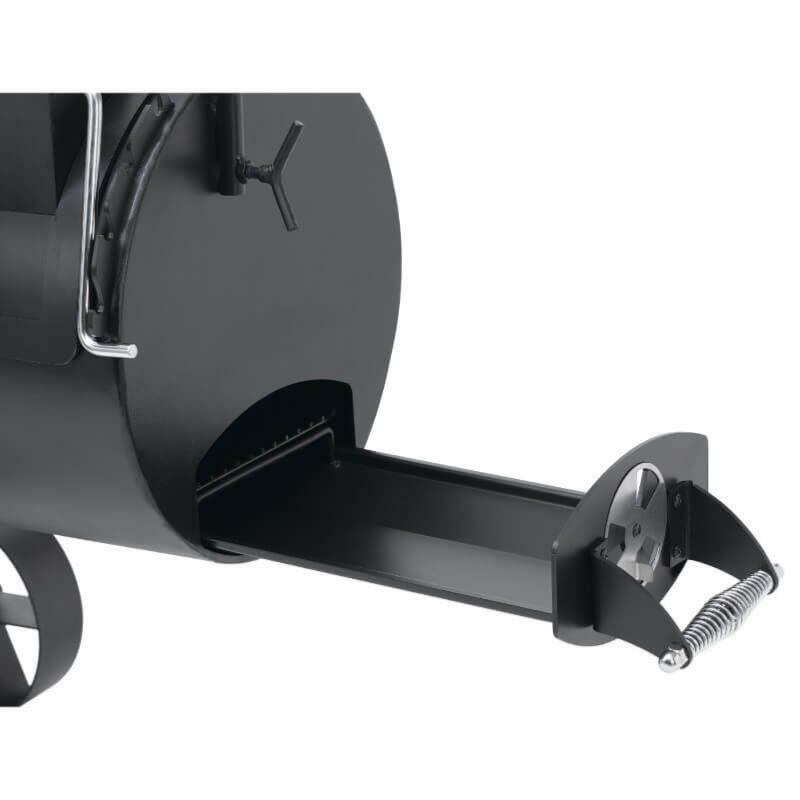 The fire bowl will hold up to 4kg charcoal and the side chamber holds up to 2kg charcoal or wood. 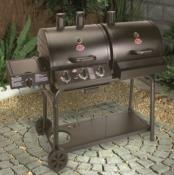 Huge cooking grill 97.5 X 44cm and the side chamber provides another 48 x 43cm of grilling surface. 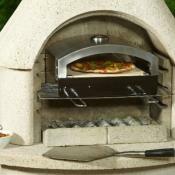 The fire bowls are heavy duty and made from 4.5mm thick steel with 5mm thick steel lids.